Truly INCOMPARABLE to any other ST TROPEZ presently offered at Encanterra. Like NEW in every detail this very popular ST TROPEZ model is positioned perfectly on a very desirable PREMIUM lot. Beautifully upgraded interior w/very desirable wood flooring & carpet in the Bed Rooms. Gorgeous kitchen w/beautiful cabinets, stainless appliances, granite counters & tile back splash. 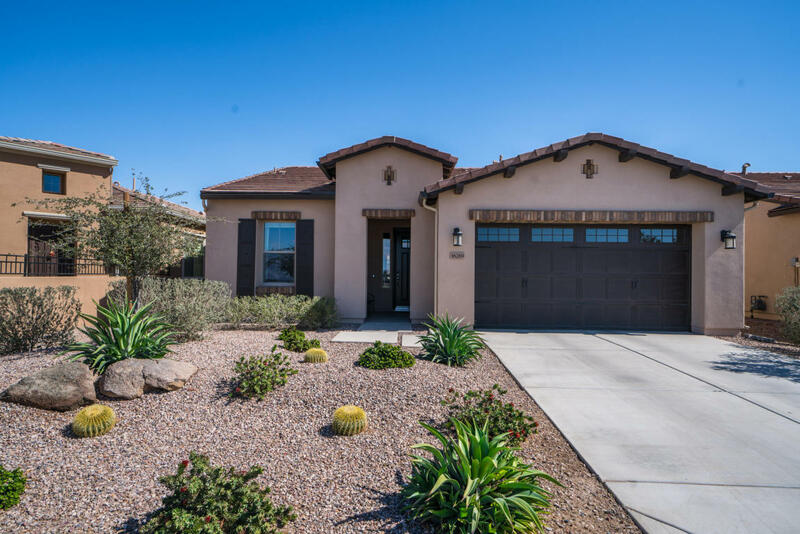 Baths masterfully adorned w/all the right details & upgraded desert-tec counters w/integral sinks & a large master closet. Step out to the covered patio & with extended stone pavers & accent wall & marvel at the open space adjoining this property. Enjoy the Encanterra Resort Lifestyle... Private Championship Golf Course, Clubhouse, Dining, Tennis, Pickle Ball, Member Clubs, Activities, Pools, Athletic Club, Spa & more!